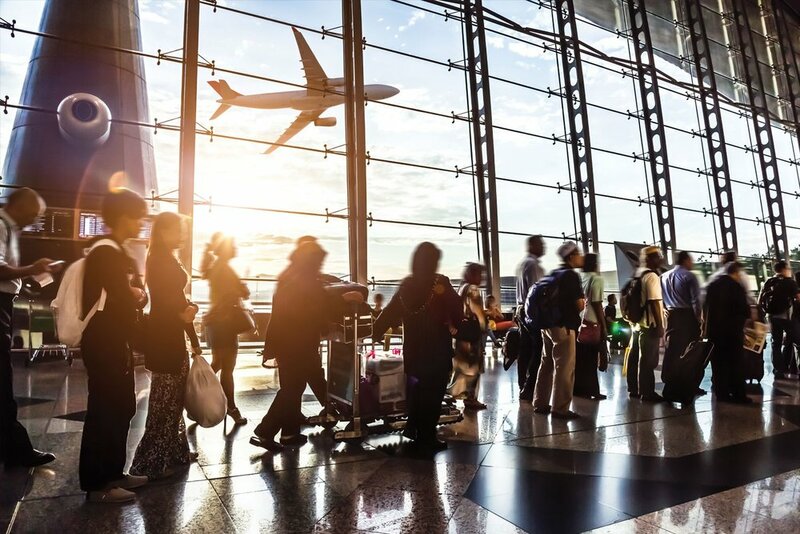 Millions of travelers go through US airports each year. In fact, Atlanta's Hartsfield-Jackson is the busiest airport in the world, with more than 100 million passengers a year. The Dallas Fort Worth International airport spans more than 17,000 acres and is bigger than the island of Manhattan. Because of its size, it has its own postal code and post office. Due to the immense traffic of passengers and the enormous space that passengers’ travel across airports, there are multiple “first aid” stations which include AED’s (automated external defibrillator). The R15 portable emergency Oxygen device is an ideal companion product to the airport’s current safety items available for travelers to access in case of a medical emergency. Unlike compressed gas cylinders which are potentially explosive, the R15 is the safe alternative emergency Oxygen for airports. Plus, the R15 can be placed on a shelf or any visible area where everyone can see it for quick access in emergencies. Oxygen cylinders must be stored in fire resistant cabinets and only people who have specific training may deploy an Oxygen cylinder. The R15 is the only accessible emergency oxygen with no special storage nor training required. It is an essential emergency safety device to have on hand. Every second without oxygen can negatively affect survival: improve your emergency preparedness program by adding emergency Oxygen with the R15. Effective CPR provided by a bystander in the first few minutes of cardiac arrest can increase survival 2 or 3 times. * Simply activate the R15, and it provides 100% humidified Oxygen allowing a Good Samaritan to perform uninterrupted chest compressions on the victim until EMS arrives. The R15 portable emergency Oxygen unit for your airport is safe to place anywhere. Since placement of the AED (automated external defibrillator) is a familiar emergency response location, it is both logical and convenient to place the R15 alongside the AED. Every second without oxygen can negatively affect survival: improve your emergency preparedness program by adding emergency oxygen with the R15.